CIUDAD JUAREZ, Mexico (CNS) — On the Mexican side of the wall separating El Paso from its sister city of Juarez, two small children play in the midst of garbage. The 18-foot-high rusty metal fence cuts through a dry landscape of sand and waste. Near where the children are, an abandoned Mexican customs’ office testifies of a past that no longer exists. Before more barriers were installed and security was increased at the border, people from El Paso and Ciudad Juarez would go stroll in each other’s cities every weekend to relax, work and visit family. The two towns functioned as one unit. Ruben Garcia, founder and director of Annunciation House, a refugee shelter in El Paso, lived the experience from the U.S. side of the border during his childhood. Increased control of the border started in the 1990s to fight international drug trade, and 9/11 marked a turning point in its militarization. In the meantime, the North American Free Trade Agreement, adopted in 1993, helped U.S. manufacturing corporations, known as maquiladoras, grow along the border. The prospect of a job, albeit in an assembly line processing or assembling imported components for export, continued to attract many peasant farmers from all over Mexico. In 2008, corrugated metal fencing was built and cut the binational city in two. Workers lost jobs, and families lost family members. El Paso’s sister city sank into poverty and drug-fueled violence. The 1990s coincided with the growth of international drug trade and maquiladoras. Duty-free assembly-line factories contributed to the breakup of families, said Father Morton, who has been working at the border for two decades. The sudden growth of the city and rampant political corruption also led to deplorable infrastructure and public services, with understaffed and underequipped hospitals and schools. In a toxic mix of family ruptures, endemic poverty and violence fueled by cartels, domestic violence surged as well. Texans, who already were discouraged by the tougher border regulations, stopped crossing the border, affecting the city’s tourism and entertainment industries. Lopez is only too aware of the issues that plague Ciudad Juarez. She has lived with an abusive husband and had her wages extorted by gangs. Out of anger, the man hit the 16-year-old mother and beat the toddler to death. Lopez and her granddaughter did not accuse him of the murder for fear of more repercussions. The incident is one of many recorded in Ciudad Juarez statistics. 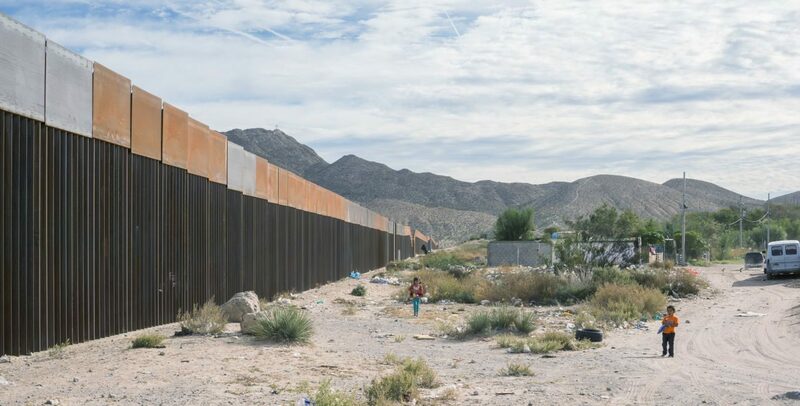 The violence from Ciudad Juarez never overflowed to El Paso, which remained one of the safest cities in the U.S.
“Yet, people’s fear is being manipulated to militarize the border, which costs a lot money and separates families,” Garcia said. At the peak of Ciudad Juarez’s violence, between 2010 and 2012, “100,000 people from our sister city crossed the border to flee the violence, and El Paso housed them without a fuss,” Garcia said. For El Paso, Ciudad Juarez is still family, despite the controversial border and the troubles its southern sister faces. I am so sick and tired of the U.S. and the state of Texas and these Catholic sources trying to make the claim and the argument that they are so much better than Juarez, and Mexico as a whole. It is such a lie. Just last week, a Christian American went into a Christian Church in Texas and murdered 26 people. On a daily basis in the state of Texas, there are individual stories of people robbing and murdering others with guns. Not too long ago, a man killed 8 or 9 people at a Texas football game party. These murder incidents do not occur not nearly half as much as they do here in Juarez and yet the state of Texas (and its religious affiliates) try to act like there is a halo over its state and its country (with that stupid annoying shining fake star…a symbol of America’s evil colonial past). Well as an avid American observer living in Juarez now, looking out over the horizon between the two states, it is not Chihuahua that is Hell…it is America that is Hell. Average people here in Mexico (all of Mexico) do not have guns nor do they want them. A few cartel members have them and the police of course, but usually cartel violence is directed at those involved in cartel activities…not average people…like in America…where any one can become an innocent victim at any time. Total garbage. There are still quite a few people here who have NO INTEREST in going to America or living there. How dare you show a one sided picture of that wall showing trash…as if America doesn’t have its ‘inner cities’ that are full of trash and homelessness and drug addicts? Where is that contrast? Where is that reality? Shame on YOU CatholicPhilly. Sad story. I’m not sure what the answer is. You can barely make out the cross atop Mount Cristo Rey in the picture. Some irony that this Christian symbol overlooks a region so troubled.